Makes 6 servings or 1 pitcher. Fill six 8-ounce salt-rimmed highball glasses with ice. Blend ingredients in a pitcher. 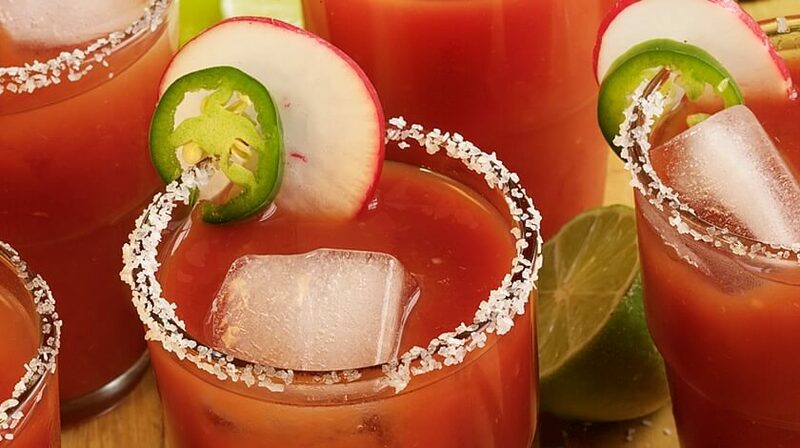 Pour into glasses and garnish each with a jalapeño and a radish round.